The G8-600 is listed as a 600 Watt full spectrum grow light designed to provide the wavelength of light that supports the vegetative and flowering stages of a plant’s growth process. The G8-600 LED grow light is designed to replace a 1000 Watt MH/HPS grow light system. It is specifically built to support the indoor grower and can provide light coverage of 18 square feet at a minimum. The actual power draw of the 600W LED grow light is 390 Watts and the G8-600 utilizes 200-3W LEDs. 3W LED chips provide a great balance of light penetration, heat dissipation and cost efficiency. G8LEDs provide a formulated color ratio with 8 bands of the color spectrum that include infrared (IR), ultraviolet (UV) as well as white. The broad range of light wavelengths is a plus for the G8-600 LED grow light and the inclusion of the IR, UV and white is significant given that some other LED grow lights do not include this band of light spectrum. A grower can also feel at ease when investing in a G8LED grow light given the available warranty. The warranty is 2 year and I have found customer service and support to be top notch so far. This LED grow light review has been designed to be comprehensive in nature. The goal is to help indoor growers find the best LED grow light by having the top LED grow light information all in one spot. G8LED grow lights are designed with LEDs manufactured by BridgeLux, Epistar and Optotech. BridgeLux, which is located in San Francisco, California, is one the fastest growing companies to develop light source technology designed to replace other traditional light source technologies like fluorescents and incandescents. BridegeLux has been identified by the San Francisco Business Times as one of the regions fastest growing privately owned companies. The manufacturer does business around the world and is well know and respected. Being associated with a company that is producing such strong headwinds is a big plus for G8LED grow lights. G8LED also lists Epistar as a manufacturer of LED chips that are incorporated into their grow lights. Epistar is also another large corporation that manufacturers LEDs. Epistar integrates LED applications into cell phones, laptops, products utilized for horticulture like LED grow lights, and other products as well. Researchers at Epistar have been working on ways to increase LED chip efficiency which has ultimately helped to lower costs for all. They are a world leaders in red and yellow LED manufacturing and they have almost two decades of research to back up their technology. Ultimately, research conducted at Epistar has led to LED efficiencies that allows products that utilize their technology to enjoy longer lifespans. Optotech is another manufacturer that G8LED utilizes in grow lights. Optotech manufacturers LED chips that are used in digital displays, computers, indoor and outdoor lighting as well as agricultural lighting. 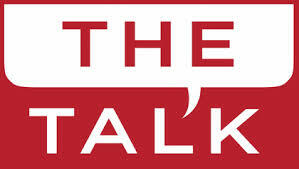 The company, which has approximately 1,400 employees, was founded in 1983. Optotech has 30 years of manufacturing and sales experience and works to provide products that benefit from innovative designs and exemplary performance standards. The light emitting diode is one of the company’s main products and their LED’s are designed to cover the full spectrum of light. G8LED grow lights utilize LEDs from companies that are well grounded in research and have been in the LED business collectively for decades. This aspect enables G8LED grow lights to provide a light emitting diode that works effectively and efficiently to provide the right type of light that acts as a catalyst for optimal plant growth. Coverage Area – 18 sq. ft. Versus other HID alternatives, a professional grower can save up to 50-60 percent on power. According to G8LED technology breakdowns of daily operating costs between the G8LED grow lights versus HIDs, G8LED grow lights are much more energy efficient and can thus add up to a significant cost savings over time. A professional grower can begin to see a return on investment when switching to G8LED from HIDs in as little as a year given that the energy use is significantly less with the G8LED. LEDs are built to last longer as well. The average lifespan is 5 – 10 years. This is much longer than the 2 – 3 year lifespan with an HID alternative. Also, for those of you that seek to be environmentally friendly, unlike the HID grow lights, there is no Mercury in the LED light system and thus LEDs are friendly to the environment. The G8LED does not require a ballast and reflector to set up, it is just plug in and grow! Once the grower turns the light on, the energy is focused and specific. Red and Blue light is specifically included in the 8 band spectrum which means that the G8LED has a more narrow and targeted light spectrum than HID alternatives that waste light and energy. G8LEDs include focused light that activates plant photosynthesis. Red and blue light are included in the color ratio, as are UV and IR wavelengths. Many studies show the power that red and blue light can have during a plant’s grow cycle. Regarding UV light, studies have shown that the presence of this wavelength can stimulate some plants to produce chemicals that increase plant potency. In the end, the 8 band spectrum is designed to give a broad range of plants the type of light they need to grow successfully. According to G8LED, the average cost of running the G8LED-600 in the U.S. during the 18 hour vegetative growth cycle is approximately $0.84 per day. Running a 1000W MH HID for the same amount of time would cost approximately $2.22 on average in the U.S. During the 12 hour flowering cycle, it costs approximately $0.77 per day to run the G8-600 plus the 2x90Red UFO while it costs approximately $1.48 on average per day to run a 1000W HID. It is clear that utilizing LED technology to grow is the more efficient choice for the professional home grower. The initial cost of the G8-600 can be prohibitive for some. Cost savings over time, paired with positive grow outcomes, justifies the investment for many indoor growers. 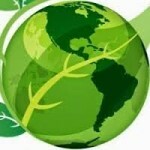 Dorm Grow, at dormgrow.com, is a primary provider and direct distributor of G8LED Lighting Company. 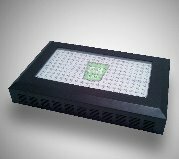 The company distributes authentic G8LED grow light products, and this is verifiable through unique serial numbers listed on each product. The grow light products are high quality, and Dorm Grow adds quality by developing a supportive relationship with the customer. My experience with Dorm Grow has been a good one and so I can verify that customer service is definitely a top priority at Dorm Grow. 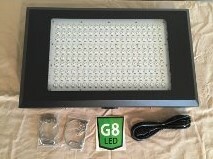 DormGrow has the G8-600 available and in stock at 899.95. 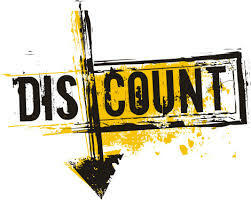 A professional grower can receive up to a 12 percent discount based on the number of products purchased. Customer offers include a 5 percent discount for the grower that buys two G8-600 LED grow lights at $859.96. DormGrow also offers a 12 percent discount to the customer that purchases four G8-600 models for $799.95 each. These discount offers are a great opportunity for the professional grower that has the space and needs the grow power of the G8-600. During my time researching LED grow lights, I have had to deal with many manufacturers, producers, sellers and associates. My experience dealing with the associates at DormGrow has been a very positive one. All of my initial questions and inquiries were answered in a timely fashion and in a pleasant manner. Not only did they answer all of my questions about their products in a comprehensive way, but they followed up on conversations with helpful information and insights. It was a pleasure dealing with DormGrow and I am happy to recommend them as a G8LED provider. After ordering the G8-600 grow light, it arrived via FedEx to my door step in a day! 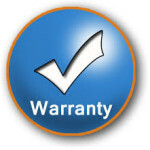 The warranty, which is a 2 year warranty and is based on the date of purchase, is for parts and labor. 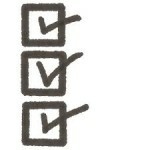 No registration is necessary for this warranty to be initiated and is automatic given the purchase. The talk reveals that the G8-600 grow light is high quality and energy efficient. It provides Full Spectrum light that enhances the vegetative growth stage especially. Use of the G8LED 90W red UFO is utilized in cases to increase growth and development during the flowering stage of the grow process. professional growers should note that the 90 Watt flowering boost is a great addition to any level grow light as it will boost yield during the flowering grow stage of the plant. As you can see from the picture, the G8-600 comes with the light, hanging accessories and the power cord. The G8-600 arrived safely and was packaged well. My first impression upon picking the light up was that it is solidly built. Even more impressive however was the light that was produced when I turned the G8-600 on. It was like the sun burst into the room! First impressions can be quick and meaningful, and my first impression of the G8-600, provided via DormGrow, was a positive one. I will update photos/video in the future. This LED grow light review has been designed to help you find the LED grow light that suits your individual needs. I sincerely hope this information has been helpful so that you can find the best LED grow light and grow big at home! 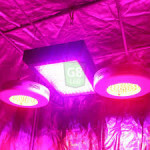 Due to the time of year where I live, I recently planned on starting several types of vegetables and herbs with the G8LED grow light and then transferring the plants to the outdoors to continue their grow for the summer season. I found success starting all of the herbs and vegetables that I attempted. I started lettuce, tomatoes, peppers, and several herbs that included chives, mint, oregano, parsley and garlic. I just transplanted all of these a week ago and gave them a few days to acclimate to the outside environment before snapping the pictures below. Prior to the transplant attempt, I placed the plants outside for several hours on each of five days before planting outside permanently. The G8LED gave the plants a great start and I can’t wait to harvest. In the meantime, I am starting another grow indoors with the G8LED that will remain indoors from start to finish. I look forward to updating my indoor and outdoor harvest in a couple months. Time to grow big at home! 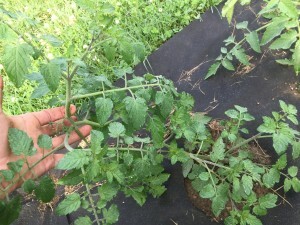 A Tomato a week after Transplanting! Started with G8LED! Pretty Impressive! 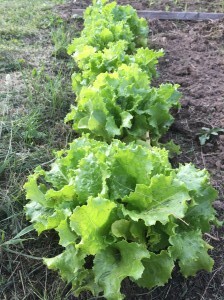 Lettuce a week after Transplanting! Started with the G8LED! 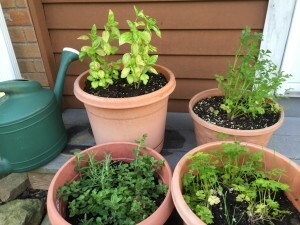 Herbs a week after transplanting to pots outside! Started with the G8LED! 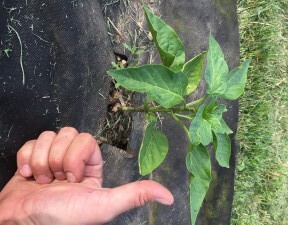 Pepper Plant one week after transplant! Started with G8LED!